Delegates from the Newport Country Club, Saint Andrew’s Golf Club, Yonkers, New York, The Country Club, Chicago Golf Club, and Shinnecock Hills Golf Club met in New York City to form what became the United States Golf Association (USGA). The term “birdie” was coined accidentally by Ab Smith who hit a “bird of a shot” at a tourney in Atlantic City. ​The world’s oldest golf tournament is The Open Championship, which was first played at Prestwick Golf Club in Ayrshire, Scotland. ​The modern version of golf came about in Scotland as King James II officially recognized the game. Playing in a different environment can help improve your golf game, so accept an invitation from a friend to a private country club, or check out a new public course of your choosing. Check the PGA schedule and select the best time and place to go to your first big golfing event. Whether enojying the coastal beauty of 17-Mile Drive at Pebble Beach, admiring the spring azaleas at Augusta, or honoring golf’s roots at The Open in Scotland, the possibilities are endless. ​The average golfer has a 12,500-to-1 chance of making a hole-in-one. Over 100,000 golf balls are hit into the water at the famous 17th “island hole” at Stadium course at Sawgrass each year. ​The French word “cadet” means “youngest child” and is where the word “caddy” comes from. ​Only 20 percent of golfers have a handicap below 18, and a golfer with a handicap of 18 or higher is called a “bogey golfer." ​Apollo 14 astronaut Alan Shepard famously took a golf ball along with him to the moon — where a swing of his 6-iron made him the first person to play golf in space. Golf is a rare hobby that combines exercise, the great outdoors, dedicated time with others, skill, and friendly competition. Anyone can pick up a club and hit the course — which makes golf a great way to spend some time outdoors, away from computer screens, TVs, and the daily grind. You’ve heard of a runner’s high? 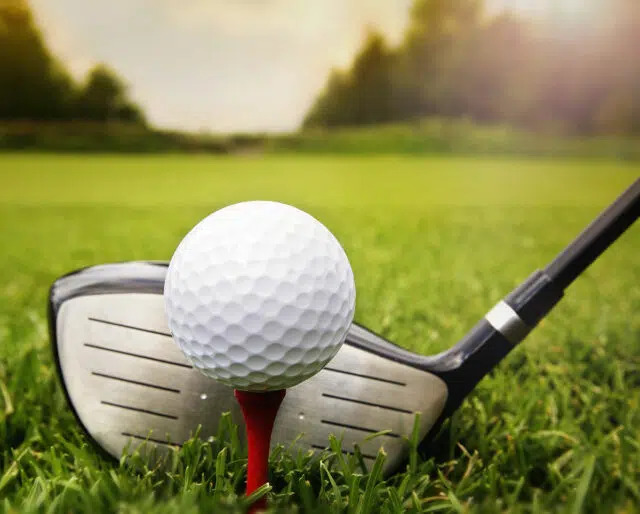 Golfers have their own version and it takes place on an uncrowded golf course, walking quietly around the green landscape, proceeding at a leisurely pace as you soak it all in. The fact that men, women, and children can play golf equitably on the same golf course is one of the game’s greatest benefits. It's the perfect blend of social event and exercise. Plus, there’s something about golf’s humbling nature that brings everyone together. No one is immune from embarrassment, and that is liberating to the family dynamic.